“Space Probe: Math” (1983) « Adafruit Industries – Makers, hackers, artists, designers and engineers! 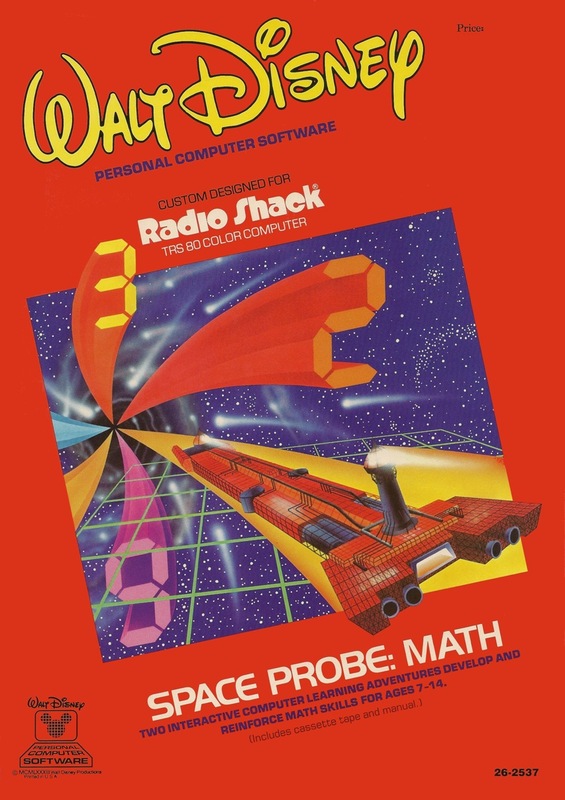 Disney made a Math game spin-off based on the movie “The Black Hole” for the Radio Shack TRS-80 Color Computer This and more @ the TRS-80 Color Computer Software Repository. 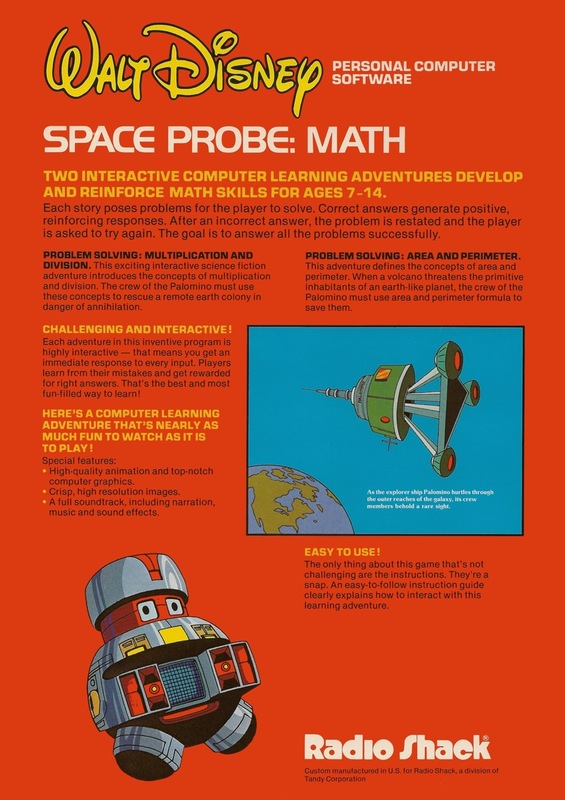 In 1983, Disney put out a computer learning-game spinoff – “Space Probe: Math”. This was a cassette containing two educational games designed for use with the Radio Shack TRS-80 Color Computer. The concept of the first game was that the Palomino had landed on an infected planet, Delta 5 Omega. All the crew were falling under “mind diffusion”, basically a viral form of fatigue. The player (aged 7–14) had to solve multiplication or division problems to save the crew. In the second game, the player had to save a primitive world’s crops, using (rectangular) area and perimeter problems – Wikipedia. I remember these! I also remember Robot Oddessy, one of the best educational games I ever played. A kind soul ported it to Java a few years back under the name Droid Quest. David Auerbach at slate called it the hardest computer game of all time, but I loved it!